Error 550 implies that the user is not authenticated to the server, and therefore, it fails to send emails. Another reason could be the nonexistence of specific Recipient’s policy for the particular domain in the user’s department. In majority of cases, corruption in the Exchange Server database(s) is the most common reason that results in this error message. Let’s understand this error message in detail. The Initial digit describes whether the Exchange Server accepts the command, encounters error, or commences appropriate action. The subsequent codes displays if any connection or syntax error exists. It can be considered as a security specific error message if it prevents unauthorized users from gaining access to the Exchange Server for relaying emails. The third digit in the cryptic error code specifies a variety of graduations of the status of mail transfer. It displays a wide list of ESMTP Server response codes being set-up by standard RFC 821 and following extensions. Alternatively, you can check for all existing Exchange Server errors in the application event log and search for corresponding resolution methods online. Checking the application event logs will help you analyze the actual cause and time when ‘Exchange SMTP Error 550 5.7.1 unable to relay’ error message is generated. To fix Exchange Error 550 5.7.1, it is important to understand the reason behind the cause. If the error is due to Exchange corruption, it can be rectified using Eseutil, an Exchange built-in utility offered by Microsoft. The probabilities to resolve the error via Eseutil is based on the intensity of corruption in the EDB files and incorporated objects. 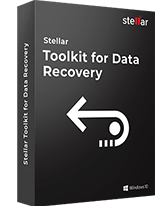 In case of severer corruption, it is always better to deploy a professional third-party Stellar Mailbox Exchange Recovery software. This software recovers corrupt Exchange databases. 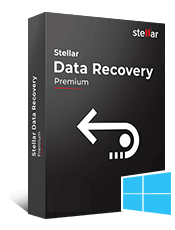 Other than complete recovery of data, the tool restores the recovered data in multiple file formats. 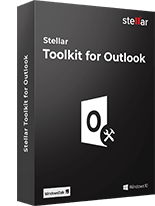 After saving data in the desired file format, the mailbox items can be accessed on independent email clients such as MS Outlook, Windows Live Mail, Thunderbird, Apple Mail, and other desktop and web email clients. 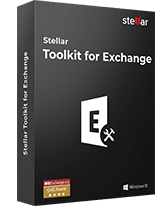 It supports Exchange 2019, 2016, 2013, 2010, 2007, 2003, 2002, 2000 and Exchange 5.5 editions. It also provides different connection options that include (i) connection to single mailbox; and (ii) connection to all the mailboxes on the Server. 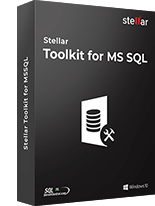 Therefore, Stellar Repair for Exchange is the ideal solution for fixing Exchange SMTP Error 550 5.7.1.